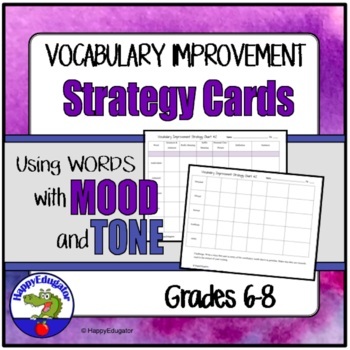 Vocabulary Builders with Mood Tone Words. 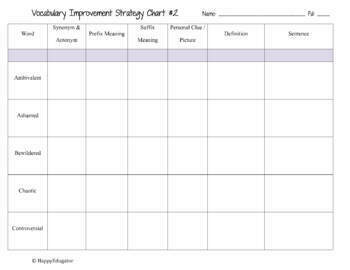 Vocabulary Improvement Strategy Charts. 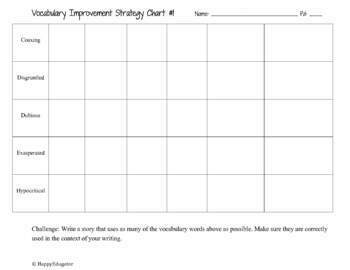 Twelve vocabulary improvement strategy charts (2 pages each) of commonly tested mood and tone words. Each chart has the student complete the synonym/antonym, root, picture clue, definition, and sentence for the words. 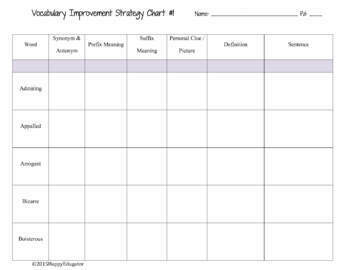 Can be used as a weekly vocabulary assignment, which would cover twelve weeks. Helpful for preparation for state tests.